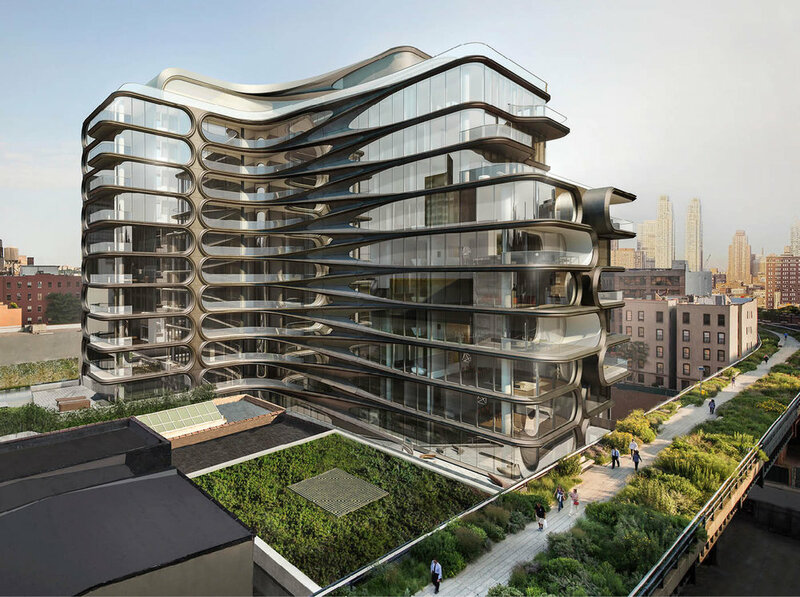 The High Line, a former rail line used to transport goods along the lower West Side, has transformed the West Chelsea area of Manhattan into one of the hottest neighborhoods for new development. Over the past years, developers having been racing to scoop up plots of land adjacent to the elevated park to construct luxury condos. Today, the High Line is a popular destination for enjoying the warmer months in the city, strolling along and taking in the various skyline views. Additionally, some of the best names in architecture have built condos that are attracting high-end buyers. Below are 5 of the top buildings along the High Line in West Chelsea. Situated at 522 West 29th Street, Soori High Line is most known for the inclusions of private pools into the modern design of 16 of the 31 residences. Peter Marino has designed an ultra boutique condo at 501 West 24th Street that only a few lucky individuals will get to call home. First residential project in New York City by Brazilian architect Isay Weinfeld that will incorporate many lush gardens and landscaping. Located at 527 West 27th Street. Located at 515 West 29th Street, 515 High Line will be Soo Chan's, principal of SCDA, masterpiece in West Chelsea. Interested in the buildings above or living in West Chelsea? Contact us to get info on these buildings and to arrange your appointment. Newer PostHas the Second Avenue Subway Line Increased Real Estate Values?